My feelings have only grown stronger. Happy Labor Day! I have always "loved" America. I feel very blessed to live in a free land. As a child I was taught that it is a blessing to live in this "promised land." I believe that. In the 8th grade I went on an East Coast Trip. I saw the monuments and the battle fields and I went to New York and saw Les Miserables on Broadway. The trip was great, the sights made an impression. Les Mis made a bigger impression. I didn't take political science classes, but I did study French for the next 5 years. Then, about ten years ago I had the opportunity to spend more than 5 months working in Washington D.C. I spent every day associating with people who not only believed in America, but loved American. While there my testimony grew. My patriotism grew. D.C. people don't learn about America from a text book like I did on the West Coast. They learn because it is in their backyard. They see it, they visit it, they remember the stories and the battles because they stand on the ground where the battle took place. It is different there. I liked it. It stuck with me. Since then my feelings about our country are different. They are stronger and more reverent. When I think about America it stirs up emotions. Strong emotions. This summer, as we have celebrated America, the celebrations have been tinged with different emotions, an anxious frustration that has been hard to place. Tonight, I have finally realized what it is. This year, I have felt helpless. I have disagreed with most political decisions that are taking place in Washington and have watched as changes have been "passed" that I don't agree with. These changes and decisions have hurt our family and a lot of other families. I feel helpless. I feel like vote or not, I can't do anything about what I don't agree with. I feel like America, this country that I am loyal to, is not going in the best direction. That is why this year felt different. This is all personal opinion. I am by no means suggesting a "political discussion." I am not qualified to have a discussion like that. I laid awake last night and fought the helpless feelings. I couldn't help but think about the upcoming presidential elections. I feel like my vote still won't change things. Maybe there isn't anything I can do? Then I realized there is a lot I can do. 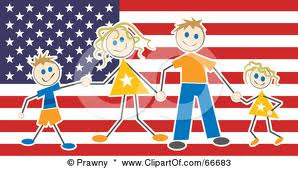 I can teach my children about America. I can teach them that this is a "promised land." I can teach them how important it is to vote, and fight, and stand up for what is right. More than that, I can teach them to be moral men and woman. I can teach them manners and kindness and patience. I can teach them how to love and work and serve, and how important it is to be a good father and mothers. I can teach them to be true to themselves, their virtue, and their beliefs. I am not a senator, or congressman. I am a mother. Mothers CAN change the world, one household at a time. My vote always matters. MOTHERS ARE STRONG. DON'T YOU AGREE? DO YOU EVER FEEL POLITICALLY HELPLESS? This is a great post. Yes Mothers can and do change the world. Thank you for this reminder. Yes about both....I too have felt politically helpless, and I too believe as mothers we can make changes...thanks for the post! You are so right, we can impact the next generation. This is a really good idea that you have going on.